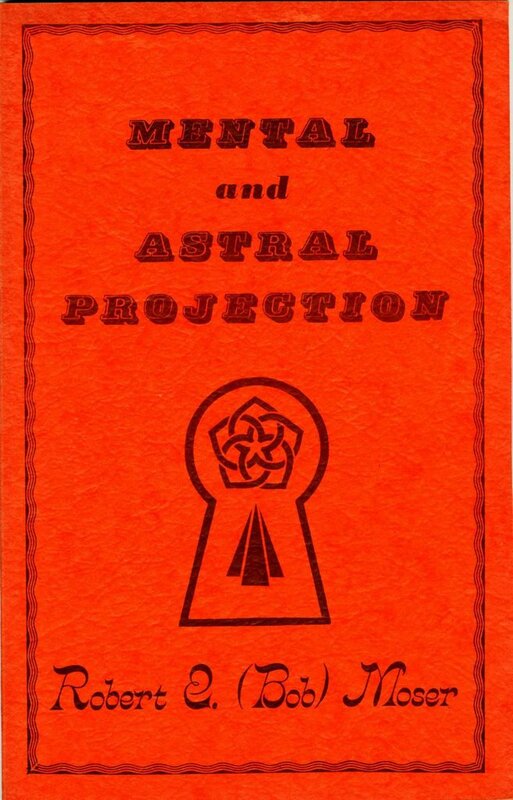 Today I'm taking a trip down memory lane and reviewing the book Mental and Astral Projection by Robert E. Moser, an oldie from 1974. It's a short book; just 55 pages. I first read this book in August of 1980. I had only had 21 OBEs then, so I was a newbie and I was eager for more. The book didn't stand out in my mind at the time, but after just re-reading it, I'm amazed to see just how much it influenced me. 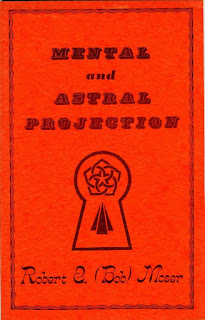 Moser starts by explaining mental projection and astral projection, and the fact that mental projection is easier than astral projection. In my opinion, the author's "mental projection" is what we now call "remote viewing." He expands on this technique later in the book. You use your imagination to visualize a doorway with a fancy door, a keyhole, and a key. You customize the door to make it "yours". Only you possess the key, and each time you induce an OBE, you imagine unlocking the door and locking it behind you to keep any foreign entities out. You always take the key with you. In fact, Moser takes this a step further. He stresses not to interact with the astral plane. He advises us to merely observe what we witness. But to quote the 1980s rock song Blinded by the Light, "But mama, that's where the fun is!" Maybe this book was just what I needed in 1980: A healthy dose of caution, a little esotericism, a dash of distrust in spirits, a few clues about my inner voice, and a few hints on how to self-induce OBEs. There are many OBE books that are far better than this, but I don't regret having read it.